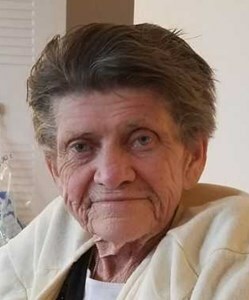 Lucy D. Landers, 79, of Pennellville, passed away February 4, 2019. Lucy was born in Syracuse, New York on September 16, 1939 to Harry and Lucie Littleboy. Lucy retired from Crouse Hinds after many years. In her free time she enjoyed shopping, outdoors and going to garage sales. She was preceded in death by her Son, Edward Landers. She is survived by her Sons, Henry "Hank" (Joy) Landers Jr. and Scott (Linda) Landers; Grandchildren, Jessica (Tony) Miller, Henry Landers III, Brooke Landers and Beth Landers; Great Grandchild, Skyler Miller. Visitation will take place on Tuesday, February 12, 4-7 PM at New Comer Cremations & Funerals, N. Syracuse. A funeral service will take place on Wednesday at 10 AM at the funeral home, with burial to follow in Pine Plains Cemetery. In lieu of flowers, donations can be made to the Caughdenoy Fire Department. To share a memory of Lucy, or leave a special message for the family, please click the share memories button above. Add your memories to the guest book of Lucy Landers. Condolences to the family for your loss. Lucy was a lovely person. We were close friends all through High School and later we both worked at Crouse-Hinds for many years. She was Maid of Honor at my wedding and I have many fond memories of our youthful years as pals. My deepest sympathy and prayers to your family. Scott and Linda, so sorry for your loss! Hank and Scott I am so sorry to hear about Aunt Lucy. She was a great lady and I have so many fun memories with your mom. She will be missed. Hank and family, So sorry for your loss. I remember Lucy as being a tireless worker, always willing to lend a hand for the Fire Department. She was an excellent cook and an all around good person. God rest her soul. Lucy. I remember a big part of my childhood being with you. My father adored you. What a blessing you were to me too. I remember we decided to go to a haunted hayride and you made me a cat costume in 2 mins. J remember just feeling the loving vibe off your hugs and smile. You were an angel and a beautiful soul I was so lucky to have you in my life. You will be so missed. I love you Lucy. R.I.H. Linda and Scott - so very sorry for your loss. Know how much she meant to you. Wish I could be there to help. Know that she is in my thoughts and prayers. My condolences to your whole family. I love you a bushel and a peck and a hug around the neck. I'll always miss you grandma. May you rest easy and look over us from above. My guardian angel.